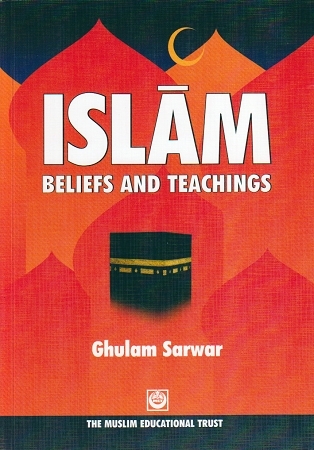 "Islam: Beliefs and Teachings, now in its eighth edition, presents Islam as a complete way of life, expressing clearly and concisely the basic beliefs, duties and teachings of Islam. 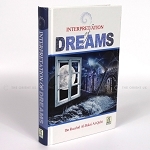 It presents the key aspects of the life of Prophet Muhammad (S) and short sketches about some of the Prophets. It gives an overview of the rightly-guided Caliphs, and brief details of the lives of some prominent Muslim women. 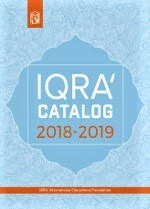 It gives an outline of Islamic Shari'ah, Islamic guidelines on dress, food and drink, family life, marriage, the status of women, and the political and economic system of Islam. 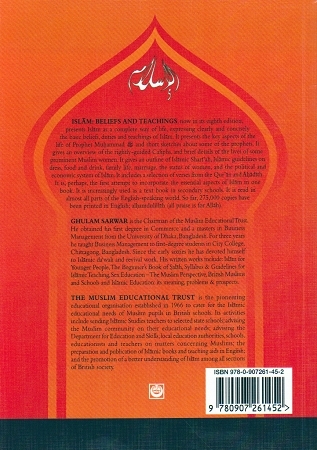 It includes a selection of verses from the Qur'an and Ahadith. 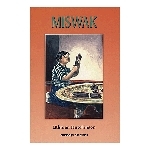 It is, perhaps, the first attempt to incorporate the essential aspects of Islam in one book. It is increasingly used as a text book in secondary schools. It is read in almost all parts of the English-speaking world. 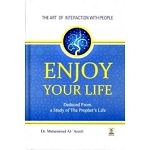 So far, 275,000 copies have been printed in English, Alhamdulillah (all praise is for Allah)." One of my favorite books. Very thorough, yet an easy read. Great for new Muslims, Islamic Studies programs, or nonMuslims interested in learning about Islam.